There are a large number of hotels near Port Everglades. We've listed a few of the many good options below. The hotels aren't right at the port, but are close by. 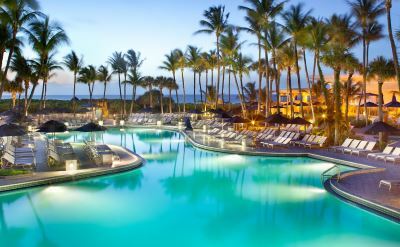 Fort Lauderdale is an oceanfront resort city, so you can stay on the beach before departing on your cruise from Port Everglades. The Harbor Beach Marriott Resort is an exclusive hotel on 16 acres of private beachfront. Minutes from Las Olas Boulevard. Luxury spa and oceanfront ballroom. Three restaurants and lounges. 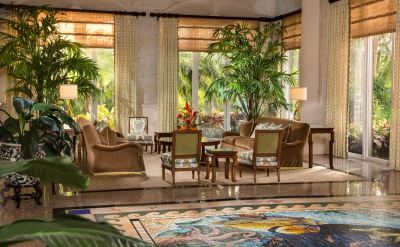 Lago Mar Resort attracts discerning travelers from around the world with its spectacular private beach and sophisticated ambience. Between the Atlantic Ocean and Lake Mayan in exclusive Harbor Beach. 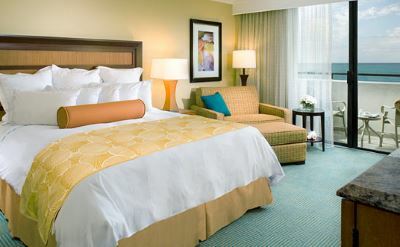 Renaissance Fort Lauderdale Port Everglades Hotel offers Caribbean - Colonial decor and close proximity to the airport and cruise port. Want more choices? There are many more hotels close to Port Everglades.